MetaTrader5 (MT5) is the most innovative online trading offering from MetaQuotes Software. It adds new features and capabilities to the MetaTrader4 (MT4). Trade.com is committed to adhering to the strictest regulatory requirements and providing you with extra peace of mind. We are offering you the latest online trading platform from MetaQuotes Software for a reason. The Trade.com MT5 has been adapted to the latest rules and regulations, including the latest MiFID II guidelines. 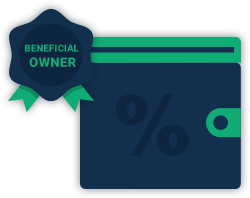 Trade shares and become a beneficial owner of stocks and ETFs. By investing in shares and ETFs you can now invest for the long-term and even participate in dividend payments. 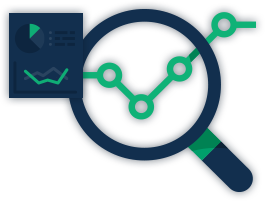 Gain the ability to track and monitor returns of a specific stock market, underlying index or market sector. Enjoy lower costs in comparison to mutual funds. With 38 indicators (only 30 in MT4), you can potentially recognize more patterns in the International Stock price dynamics to gain better insights. With 44 graphical objects (only 31 on MT4), you can potentially identify more International market trends and detect changes in cycle or resistance levels. With the newly integrated MT5 calendar you can enjoy enhanced fundamental analysis capabilities to spot macroeconomic indicators, all within the platform. Our MT5 trading platform is fully compatible with smartphones and tablets, enabling seamless trading on-the-go. Are you travelling with no access to a computer? No worries. 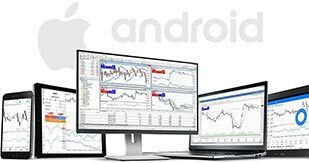 You can now access the MT5 platform and use of its advanced features to trade ETFs, U.S. Stocks from your iOS or Android device of choice. The next best thing is already here at Trade.com.